NEW YORK – We have finally locked down a partnership with Shop.Giants.com. That means you can now find official New York Giants merchandise on our website. This is something that I have wanted to do for a while and think our readers will appreciate the convenience of going straight to the official New York Giants team store if they decide they want to buy something. If you want to learn how you can do this for your own website, using your own favorite team, I suggest you check out an affiliate program and learn how to Find a sponsor for your web site. Get paid for your great content. You get a percentage for using team ads. You will need to get approved and once you do, just become a partner with a merchant, such as shop.giants.com. 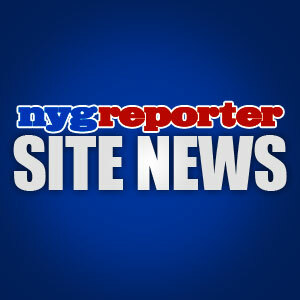 As you can see, there are no minefields of advertising to maneuver around on nygreporter and we intend to keep it way. However, we do want the fans to have access to Giants products. You all know that too many advertisements can ruin a good website. Pop ups and the loud ones are avoided like the plague. That is why I will not let ads ruin our website. You will only be able to purchase New York Giants merchandise on this website. Of course, NFL gear for the NFL Draft, NFL Pro Bowl and the Super Bowls to be included too. But you will never find the clutter we have all come to loathe. You can be sure your getting official Giants gear when visiting us here. I mean, think of the possibilities, you have Eli Manning jerseys and Steve Smith jerseys and you have a host of other Giants jerseys you can choose from as well. You can always get a team hat if you need a gift for a sports fan. You never see anyone get mad over getting a hat. Other items that nobody ever gets mad at receiving are team T-shirts, just make sure you know the right size. It’s nice to know that you can always just go straight to specific catalog areas if you feel like browsing too. After all, it can get pretty cold in East Rutherford during the winter at New Meadowlands stadium and people will need to dress warm while they wait for the game to start, tailgate gear might be just the thing you’re looking for. I am proud to have Giants products available on my site, I know our readers are people who represent their team to the fullest. All of this talk about “stuff” has me wondering what your most prized Giants possession is? Mine revolve around meeting a player usually but what are yours? Feel free to leave a comment below and share your thoughts. What is your most prized New York Giants possession? My favorite is a helmet that Michael Strahan personally signed for me. NEW YORK – The NFL football season is officially over. The Green Bay Packers beat the Pittsburgh Steelers last night 31-25 in a great game. This is a game that lived up to the hype for once. There was a sense that the Steelers could come back at any moment and there really wasn’t a feeling that the Packers had the win locked up the entire game. Ultimately, the Steelers turned the ball over way too many times. This is the Super Bowl guys, you can’t give up the ball to a solid team like that and expect things to get better. The first half of the game was owned by the Packers but not by much. It was a pretty even game the whole way through but the Packers stood strong and kept the lead the entire game. The closest the Steelers ever got to the lead was by 3 points in the second half of the game. The Steelers still had a shot in the final minutes of the 4th quarter but once again turned the ball over, sealing their loss to the Packers for good. I would be lying if I told you this was the best Super Bowl I have seen in a while but it definitely ranks up at the top for competitiveness. For those of you keeping score, Super Bowl 42 was the greatest Super Bowl ever in my opinion. The New York Giants beating the undefeated Patriots (18-1) has to be the greatest ever. It also had the greatest play in Super Bowl history with the Manning to Tyree helmet catch, hands down the best play ever. Super Bowl XLV was very entertaining. We have to take our hats off to the Green Bay Packers and MVP Aaron Rodgers for their performance. I am also happy that they brought the Lombardi trophy to the NFC instead of the AFC. These are small pleasures but still mean something to the big picture. The halftime show was decent but not the home run that many were looking forward to. The Black Eyed Peas were the main act and they were flanked by Slash and Usher for a couple of duets. It wasn’t the best show but it wasn’t the worst show either in my opinion. Christina Aguilera was also singled out for messing up the words to the national anthem. Ouch! Now that the season is over, football fans are faced with the reality of the CBA talks and the possibility of a lock out in 2011. I hope everyone enjoyed the game because it may be the last football any of us see for a long time. NFL Commish Roger Goodell has his work cut out for him this year. Did you watch Super Bowl XLV and what did you think of the game? PLEASE SUPPORT THE WOUNDED WARRIOR PROJECT!! NEW YORK – Readers and fans alike have been sending me emails and asking me if I am bitter that the New York Giants missed the playoffs for a second year in a row. My answer is simple, yes I am. But more then being bitter, I am excited about getting the team ready for the 2011 NFL season. A strange thing to say when America is getting ready for the Super Bowl tomorrow night. I will watch the Super Bowl because I love football but my mind will drift away to the G-Men and what they need to do to improve. Forgive me for not reporting about the Pro Bowl. It doesn’t take much to figure out why I choose not to write very much about that game. For the proverbial record, I will mention that the NFC beat the AFC by the score of 55-41, in another game that was more about vanity then actual competition. Forgive me for my lack of enthusiasm but I long for the day when the NFL puts on an actual game for the fans. I long for a game reminiscent of the famous “secret” basketball game between the 1992 USA olympic Dream Team players. This is widely considered the best basketball game ever played and nobody but the players and a handful of lucky people ever saw it. In fact, the NFL Pro Bowl is the only game that could be compared to that game because it is the only game that uses a collection of the best football players in the country. Back to the Super Bowl discussion now. I expect this game to be right up there with some of the best to ever be played. The Green Bay Packers and Pittsburgh Steelers are two extremely talented teams and match up well on paper. I am still taking the Packers to win a close game. I am basically taking Aaron Rodgers over Ben Rothlisberger. I believe Rodgers will have a better game then Big Ben and the QB position will be the factor that matters the most. I know most of you will say it is the defenses that will win the Championship. I would normally agree with that but these two defense are equal in my opinion, so they cancel each other out. The next logical question is, which team has the better quarterback and I believe the answer to that question is the Packers. Fans will not have to wait very long for all of the answer because we are about 30 hours away from kickoff tomorrow night at 6:30 PM EST. Everyone here at the nygreporter would like to wish both teams the very best of luck. So the only question left to ask is, are you ready for some football? 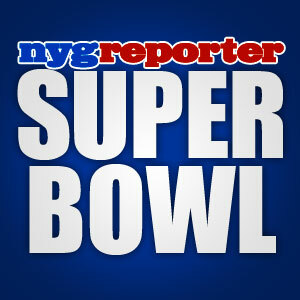 Who do you think will win Super Bowl XLV and what will the final score be? My final score prediction is Packers 34 – Steelers 27. NEW YORK – I envy the final two teams standing tall after a rough season. The Green Bay Packers will face the Pittsburgh Steelers in Super Bowl XLV and their fans must be having a blast! It doesn’t feel like it’s been four years since the Giants won Super Bowl XLII but it has been. The Packers beat the Bears to advance while the Steelers finally shut up the talkative Jets. All four of these teams deserve some respect for making it as far as they did during the 2010 NFL season. We must also congratulate the Packers and Steelers for getting to the big game and we wish them both luck. The NFL Pro Bowl will be played next weekend in Hawaii, since NFL Commissioner Roger Goodell, changed the game format to have the Pro Bowl played before the marquee Super Bowl. With the collective bargaining agreement looming in the wings, football fans may want to sit back and really enjoy these final two games of the season. Things could be a lot different come the beginning of the 2011 NFL season. I know it will be hard to watch the Pro Bowl with its lack of meaning but just try and enjoy it if you can. I have to admit that I am gloating internally a bit because I picked the Green Bay Packers to win it all this year. They haven’t completed my prediction yet but they are in the Super Bowl and one win way from being the NFL Champions. If any of our readers would like in-depth Green Bay Packers coverage, I would suggest you check out my friend Jersey Al’s Packers website, Home. I expect this Super Bowl to be a throw back of the classic days of football. Both of these teams match up very well and I truly expect it to be a battle. I’m not sure if it will be a shoot out or a defensive game yet. All signs point to a low scoring defensive battle but things could very easily go the other way with these two outstanding offenses. As I mentioned, I will be rooting for the Packers and the NFC to take the Lombardi trophy home. The Super Bowl will be played on February 6, 2011 at 6:30 PM EST in Cowboys stadium. You are currently browsing the archives for the Super Bowl XLV category.